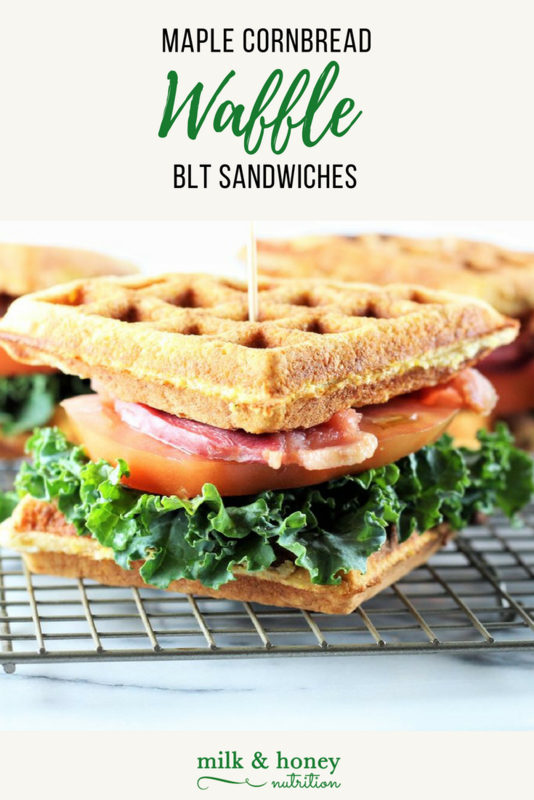 These Maple Cornbread Waffle BLT Sandwiches are out of this world! And I promise I'm not exaggerating... If you've perused any of my other recipes, you know I'm a big fan of the salty-sweet combo, and I definitely stayed true to form with these. Make them your own by adding additional toppings, or eat the Maple Cornbread Waffles on their own... either way, I promise you'll love them! Once the waffles are done cooking, let them cool some on a wire rack. Next, assemble your sandwiches as desired adding in avocado, cheese, or other veggies if you'd like too! Enjoy! The waffle batter makes 2 large Belgian waffles (enough for 4 sandwiches)!